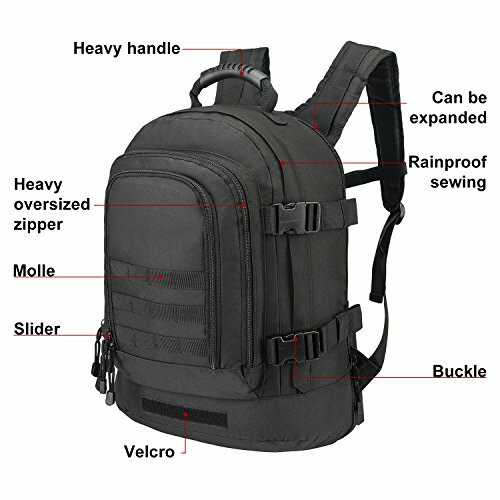 - Enjoy your life outdoors together with our premium and heavy-duty rucksack molle pack bag! 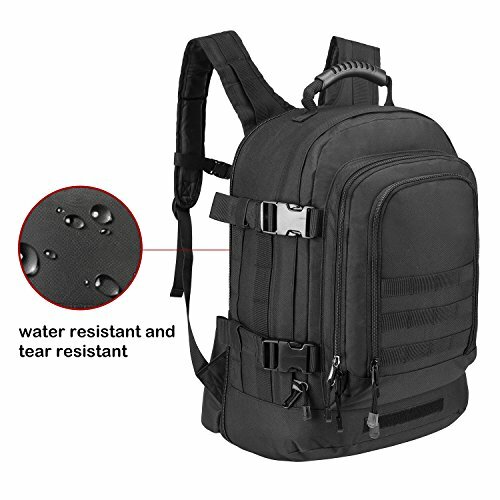 - It's crafted into perfection, made of 600 denier polyester with vinyl backing that is waterproof and perfect for any outdoor activities, whether rain or shine, it will never break, soak wet or damage easily and will definitely last for many years. - This 3-day expandable tactical backpack (20 1/2? x 15? x 7 3/4? – 12 3/4? 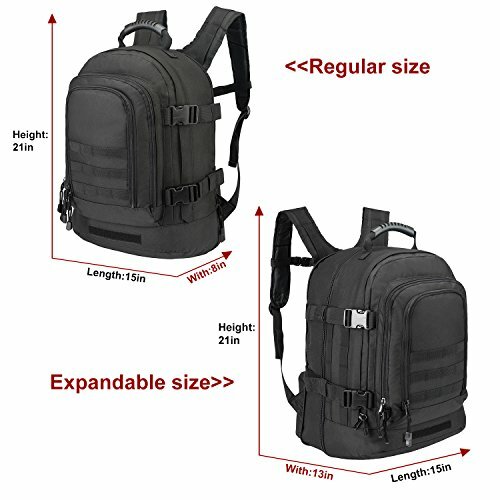 fully extend, capacity: 39~64 liters, weight?2. 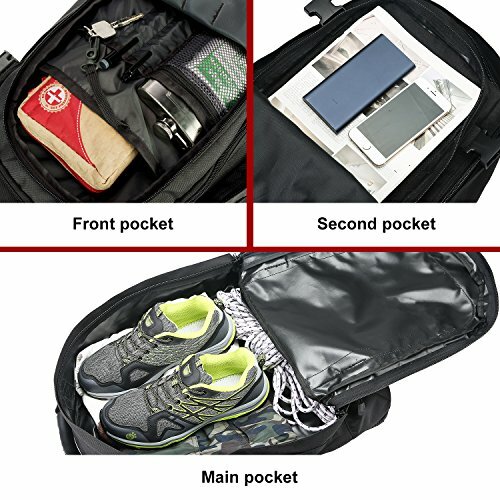 7) feature an extra-large expandable main compartment to fit everything you need for a day hike, overnight or three trips. 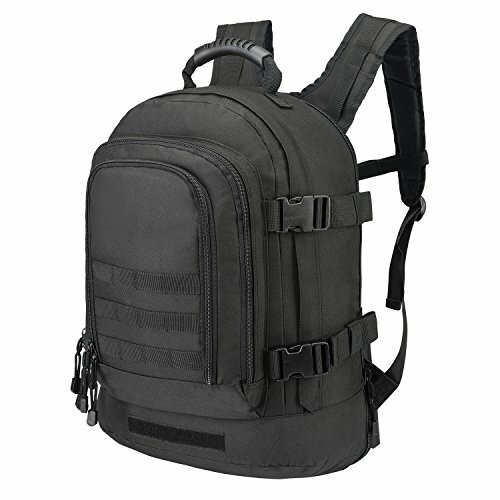 It can be compressed to 39 liters or expanded to 64 liters of carrying space. - Wide and thick padded waist strap to relieve back stress, make more stable and protect your waist from unexpected strain. 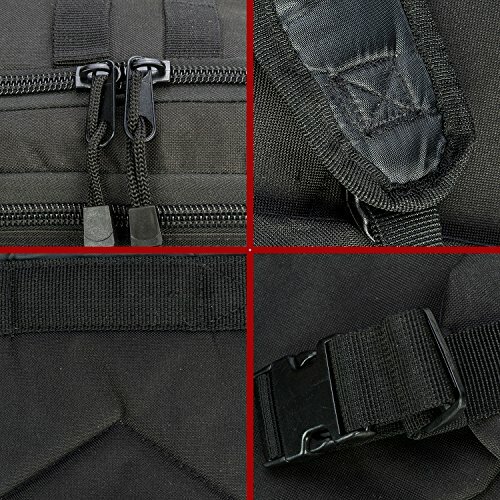 - Front molle webbing compatible for pouches or allowing you to customize your storage option as you need. - A Velcro spot on the front lower side of the pocket can attach your favorite tag. 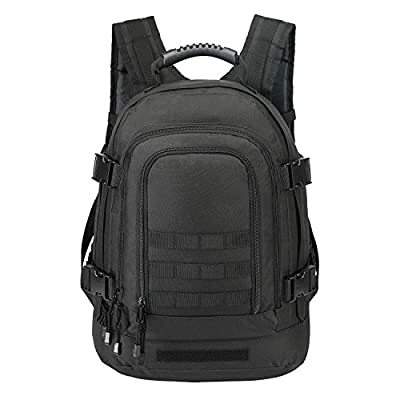 - 2 side buckle to assist the zipper closure and to make it more stable and safe for your things inside of your backpack. - Nonslip shoulder strap with breathable fabric, reinforced thick webbed handle will ensure you have a good grip. 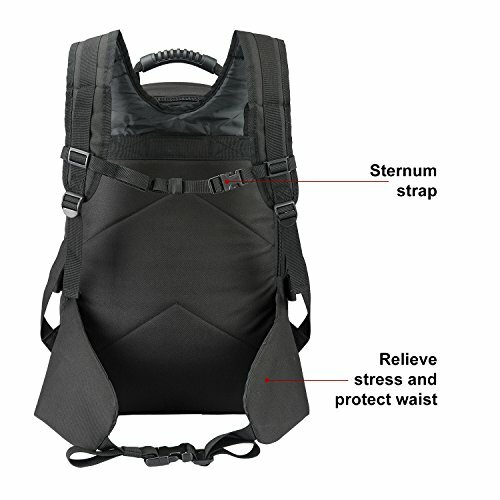 - Adjustable height sternum strap to ensure stability and reduce shoulder stress and a padded back panel for comfort and breathing bearing.